When a critical event occurs, such as a natural or man-made disaster, essential personnel need access to private-sector company facilities as soon as possible to restore critical infrastructure and initiate business recovery activities. Public safety personnel now have an effective tool to screen responding recovery personnel during an emergency. 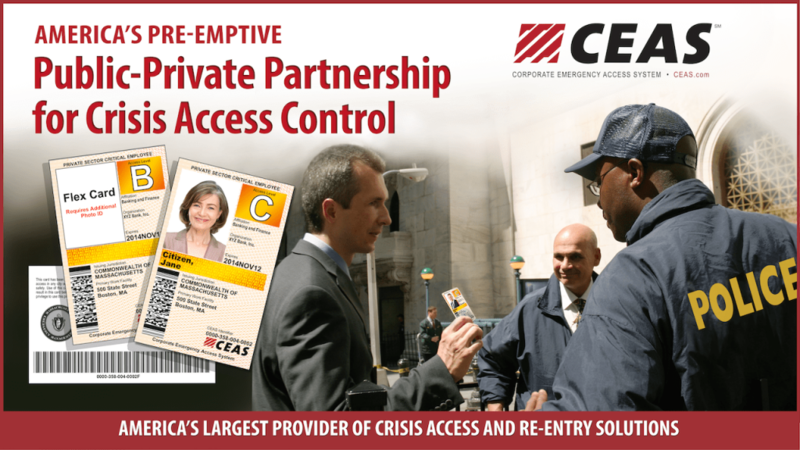 CEAS cards help identify essential, private-sector personnel attempting to enter restricted areas and affected facilities. The CEAS program is available to governments at no cost and is interoperable with any other CEAS jurisdiction. Time is crucial to effective recovery after a crisis. Having a process in place helps to mitigate damage and put recovery on the fast track. Why Should Governments Participate in the CEAS Program? The CEAS program has been used successfully in local, county, and state governments since 2004 to create actionable bonds with private-sector businesses for the benefit of the entire community. 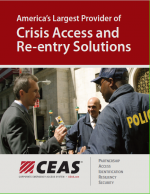 Governments interested in bringing the CEAS Crisis Access and Re-entry Solution to their jurisdictions should contact the Customer Support Center to schedule an introduction to the CEAS program. After a crisis, it’s crucial for essential employees to gain entry to privately owned and operated facilities to assess damage and initiate restoration and recovery activities. 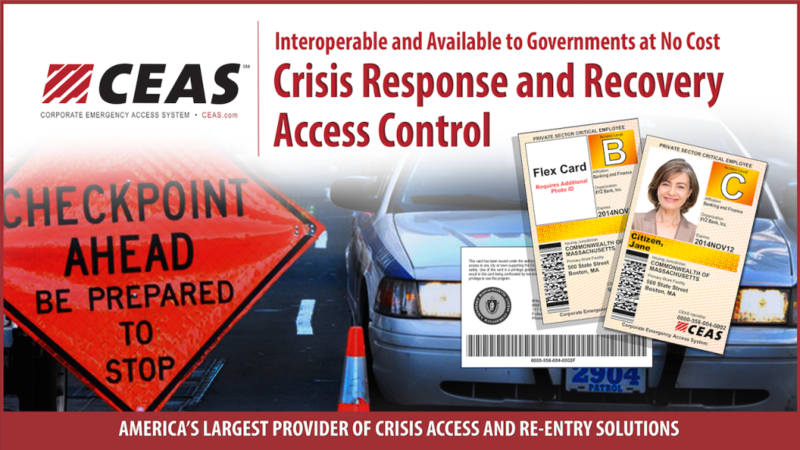 The CEAS program allows private-sector companies to apply for access cards for select employees, through a partnership with government, identifying them as “essential personnel” during a critical event, providing the ability to travel, enter affected areas, and service critical infrastructure. Who Benefits from Utilizing the CEAS Program? Why Should Private-Sector Business Use the CEAS Program? Having a process in place saves time, effort, and speeds recovery. The CEAS public-private initiative brings government and business together to solve the post-disaster, access-control conundrum. CEAS assists the flow of vital resources and personnel to expedite community recovery. This secure, predefined process allows businesses to restore lifelines and help the community rebound. To minimize the economic impact after a crisis, it is crucial to act promptly to allow essential personnel to assess and mitigate damage. Having a planned, controlled re-entry program in place helps prevent the cascading effect of further damage to both businesses and the community. Access facilitates critical infrastructure and community lifeline recovery. Emergency access to enter affected areas is necessary to assess and repair lifelines for the community. 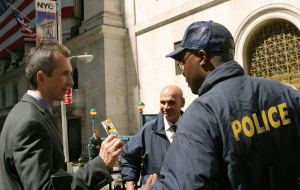 The CEAS program is an easy-to-use, predefined process that creates a partnership between emergency management, law enforcement officials, and essential private-sector personnel. CEAS gets the right people to the right places at the right time. 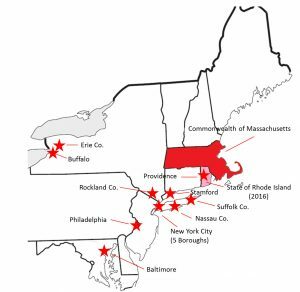 Click this link to find out more about where the CEAS program is available and about our active programs in MD, NY, MA Statewide, NY, CT, RI Statewide, PA and other areas in progress. Since CEAS program activations are infrequent events, the information on these pages is provided to help reorient you with essential information and best practices when using the program. "The CEAS Program makes it easier for businesses to recover when a major disaster occurs."